Ashton Woods is one of the nation’s largest private homebuilding companies, blazing new trails in design and personalization to build homes as unique as the people who live in them. Collaborating with homeowners for over 25 years, the company and its team of world-renowned designers look beyond the conventional to draw inspiration from unexpected sources, resulting in exceptional design in every Ashton Woods home. Recently recognized as the Most-Trusted Builder in America for two years in a row by the Lifestory Research in 2013 and 2014. Ashton Woods’ collaborative approach is a key driver of its best-in-class customer satisfaction scores, with 95% of homebuyers likely to recommend the company to friends and family. The company is the GHBA's Houston's Best PRISM Volume Builder Winner as well as Texas Association of Builders' Volume Builder of the Year for two years running 2014-2015. 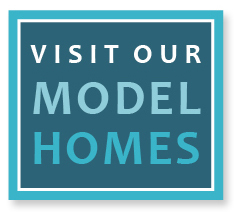 See homes from Ashton Woods. Since 1988, Coventry Homes has crafted exquisite new home designs with distinctive touches, unexpected luxuries and attention to detail. Our floor plans are highly flexible to better meet buyer’s individual needs and are built to energy-efficient, “Eco Smart” standards. Our semi-custom homes can be found in leading developments throughout Texas with classic architectural detailing, high-end features and spacious living areas. Coventry Homes currently builds in Austin, Dallas Fort Worth, Houston and San Antonio. See homes from Coventry Homes. Plantation Homes is known for trend-setting design that is both stunning and immensely functional. Our award-winning designs also offer supreme flexibility, allowing new-home buyers the ability to create a home suited for their personal needs. This mix of impressive design, comfortable livability and highly-tailored floor plans is what sets Plantation Homes apart. Plantation Homes has also developed a stringent “Eco Smart” platform to maximize green home building techniques and energy efficiency. Plantation Homes currently builds in Dallas Fort Worth and Houston. See homes from Plantation Homes. J. Patrick Homes has been building beautiful homes in prime neighborhoods throughout the greater Houston area since 1990. From day one, our goal has been to continually look for ways to provide the best to homebuyers in terms of price, design, functionality and flexibility. The result is a perfect balance that gives you the comfort and versatility you desire, without compromising beauty or style. See homes from J. Patrick Homes.